The Michaelmas term has been an exciting one for composition students, with many guest composers and performers joining us from as far afield as Vietnam, Sweden and Germany. 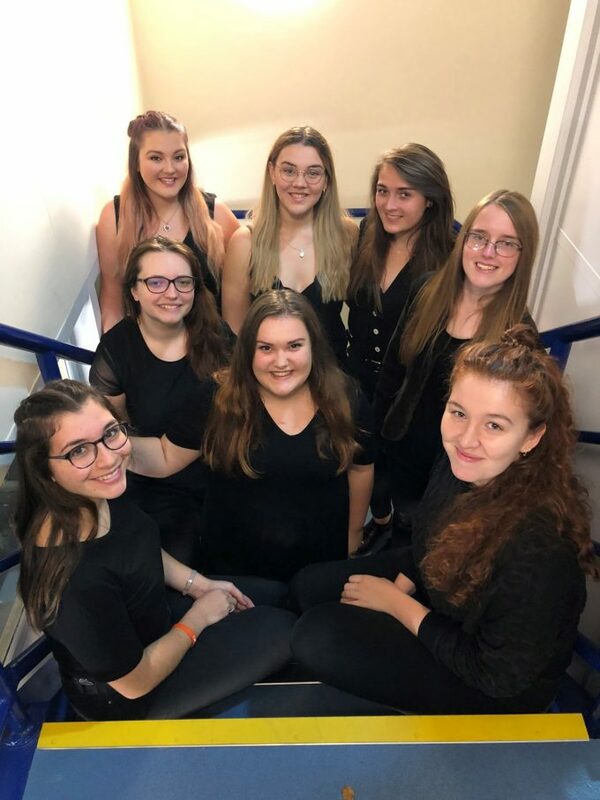 The Canterbury Festival Composition Competition featured music written by students across all years and music programmes from the Access to Music Course to the Masters in Music (Composition). The programme, for the first time, included music production work as well as compositions from students in the Broadstairs campus. 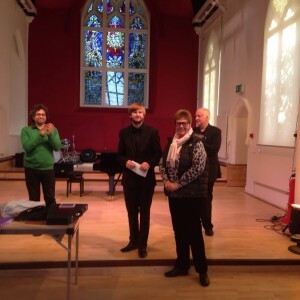 The competition was judged by Visiting Professor in Composition, Paul Patterson, Subject Lead for Music, Dr Vanessa Hawes, and Dr Alistair Zaldua, a visiting tutor in composition and conducting. It was a very difficult decision for the panel, but the eventual winner was Jason Hodgson, a Level 6 Composition student from the Canterbury campus, for his piece A Throne of Games. 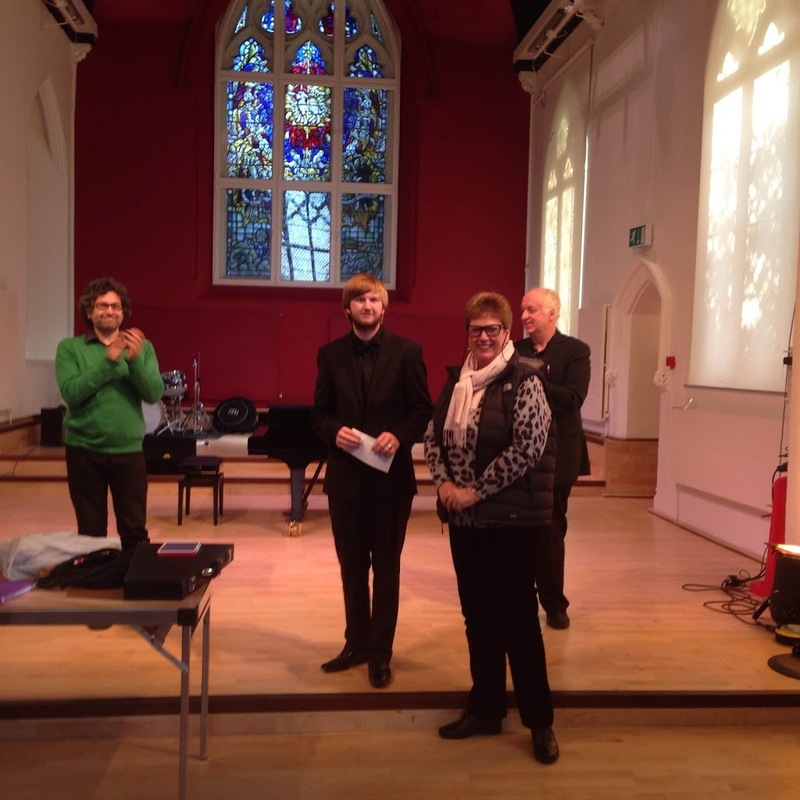 The prize was presented by Rosie Turner from the Canterbury Festival. In November, composer Nick Williams visited to hear a performance of his work, Sabotage Songs, by the Contemporary Music Ensemble. This piece uses extended open notation to denote contour, without specifying instruments or pitches, and allows for the possibility of saboteurs in the ensemble! The text of the piece is taken from a combination of management manuals and descriptions of the experiences of American employees who acted as saboteurs in their work places. It presented many interesting interpretational issues for the ensemble, and it was fantastic to have the composer at the performance! Nick Williams also met some of the composition students to discuss with them pieces that they were composing in response to his work…some of which will be heard in the Lent term, so watch this space!